The weeds are growing under our feet. Edinburgh residents are right to be concerned about the weed problem the city faces (Report, 06/07/17). As Scotland’s capital city, it’s a disgrace that we have weeds several feet high awaiting visitors from overseas. Several people in my Ward tell me that they themselves have been tackling the problem on their own street. Whilst this is laudable, residents should not have to even consider doing this. 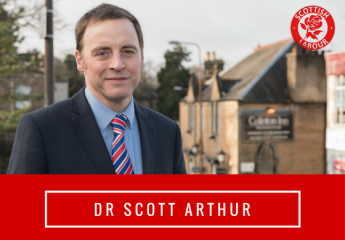 Furthermore, based on complaints from people living in my Ward, I have worked with Council staff to have the whole of Buckstone treated alongside parts of Oxgangs and Colinton. Despite the need to tackle the problem as soon as possible, Councillor Lesley MacInnes (Chair of the Transport & Environment Committee) appears content to focus on having a robust plan for next year – all she is offering is “talks” with Council Officers and a chance to question them at the mid-August Transport & Environment Committee. Meanwhile the weeds grow under our feed. Of course, the underlying problem here is one that the SNP’s Councillor MacInnes does not want to address. Our capital is struggling to cope with weeds, potholes and overflowing bins because her party (together with their Green chums) in Holyrood voted to cut Edinburgh’s budget. Whilst she will probably solve the weed problem by robbing some other budget, the right thing to do would be to ask her Holyrood masters for the funding Edinburgh deserves. It’s time to put Edinburgh first. ← Nicola Sturgeon needs to reflect on #indyref2… again!